« Teachers Write 8/8/13 Thursday Quick-Write – A Double Dose! Every once in a while, I promised we’d have a surprise guest, and today is one of those days. Ammi-Joan Paquette is here to talk about one of my favorite genres, science fiction! I am known for reading widely in all kinds of genres, but one that I always come back to—and consistently find a vast enjoyment in—is science fiction. However, I have recently come to learn in an entirely new way that there is a huge difference between reading science fiction and writing it. On some level of course this is obvious; and it’s also true of any book, any genre. But I think in my case, when I began writing my YA science fiction novel PARADOX, I didn’t fully realize just how science intensive it would end up being. The story seed began in my mind with the main character, Ana, who awoke confined in a small room without any memories or knowledge of who or where she was. As the plot came together and the backstory unfolded, I quickly determined that the small space was the inside of a rocket; that Ana was on a far-off, habitable planet; and that she had an unknown mission to accomplish and a limited time to do so. All well and good. The story begins, and the plot grows out from there. All stories tend to do this, and I’m certainly no stranger to the accompanying research process. My first novel, NOWHERE GIRL, was set in Thailand, a country I’ve visited several times but for which I still had to do vast amounts of research into details such as motorcycle taxis, boat rides along the chao phraya river, best travel routes from Chiang Mai to Bangkok, and much more. 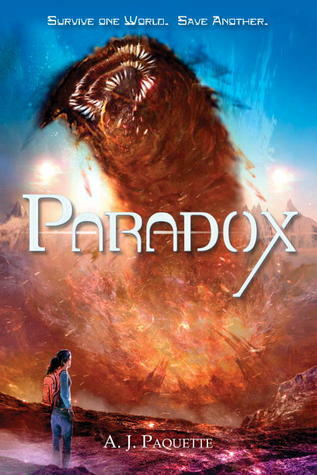 But when I began delving into PARADOX, I found that there were new levels of research needed. Despite my having needed to brush up on many aspects of everyday life in modern Thailand, when writing NOWHERE GIRL I had a certain foundation to draw from: I had been to Thailand. I had a basic sense of the culture and country. On the planet Paradox, however, I had never set foot. I haven’t traveled by rocket ship. I have never analyzed contagious diseases or personally watched someone near me die a cripplingly horrible death. Confession time: At first, I looked for shortcuts. I’m used to writing first, researching second. I return to my first drafts armed with facts and figures and proceed to layer in details, shifting the plot around any factual roadblocks that require the story to move in a different direction. (In NOWHERE GIRL, the downtown Bangkok street where Luchi first met up with a friend turned out to be in the red light district! Oops. But thankfully, easy to change once spotted.) With PARADOX, as my editor gently pointed out to me, I needed to do my research first. I needed to know all there was to know about planet rotation in a binary solar system. I had to chart out the symptoms of how my disease works, how it is spread, and how it might be cured. And this kind of research—at least for this particular writer—did not come easy. I spent hours online. I pored over books from as many libraries as I could access. I looked up experts and phoned them. I was lucky enough to have several family members and friends with specialties in the areas my book required, and I shamelessly begged their expertise, which they were all happy to share. Armed with this information, I wrote scientific memos. I composed newspaper articles. I drew diagrams of how the suns would rise and set across the planet Paradox. It wasn’t always fun. I distinctly remember telling a friend that if I ever decided to write another science fiction book in the future, to please punch me in the face. But looking at it now in hindsight, there is something immensely satisfying about sinking so deeply into a project, about being constrained by the boundaries of science—even if it’s science-future, with a healthy dose of possibility tossed in for good measure. It’s important that I add a caveat here: Despite my best efforts at research and fact-finding, I am not by any stretch of the imagination a scientist. And while I did have several scientist friends pore over the various elements and backdrops, and while my goal and hope was to get it as scientifically accurate (within its futuristic sphere) as possible, I’m fully aware of my own limitations in that area. As writers, all we can do is our best in any area; whether I succeeded in my goal is up to my readers. At best, my hope is that I’ve crafted a world that is rich in detail and scientific potential. At best, I hope I’ve created memorable characters in a story that will draw in young readers and maybe excite their own scientific curiosity. At worst… well, if nothing else, I hope I’ve written a rip-roaring good story, so that readers will be too busy flipping the pages to notice any of the writerly lacks that must exist within any story. In the end, all we can do is write the best book we can, then step back and let the readers take over. THANK YOU for sharing. I thoroughly enjoyed reading the post. I checked out your website and it looks like you have been very busy with your writing. I look forward to reading your novels and picture books (my two youngest daughters LOVE mermaids and fairies). Thanks again, and good luck with your writing! Thanks, Andy! I’m glad you enjoyed the post and hope you and yours have fun with all those other crazy characters as well. Happy August! Thanks for the post on research. Your post also provides evidence for a belief I have…children can learn “nonfiction” facts while reading fictional stories. I think this kind of learning is more meaningful. This is not what the new CCS are saying to us as teachers. The new Common Core Standards are requiring 6th graders to read 60% non-fiction, informational text. And, 6th graders are required to do mini-research while reading fictional text. (which is kind of what you do while conducting your research). Authors put their sweat and tears into a project to make it authentic, and this should be recognized. Children learn many things while reading inspiring stories with compelling characters. Thank your for your post today! I absolutely agree with you–I think the best fiction will engage readers on a lot of different levels. As a reader, I’ve gotten excited about a lot of topics I’d never have considered otherwise if I hadn’t first been exposed to them in fiction. Hopefully within classroom settings (or otherwise) there can be time for both sides of the coin! You confirmed what I’ve long wondered: how do sci-fi/dystopian authors “know” so much science? Obviously, as I suspected, it requires a lot of research to set the storyline in what is known about science and then add the fiction element of what could be. I agree with Andrea’s comment above about the non-fiction focus of the common core standards. I firmly believe that my students learn so much from reading fiction, especially science fiction and historical fiction, which often sparks their interest in a topic that they’ll continue to read about through more fiction as well as non-fiction sources. Thanks for sharing so openly about the writing process for your novels. I will share your post with my students to help them understand the research required for all authors to write authentically. This is why there’s always the danger that we will get so involved with research that the book never gets written! Wonderful glimpse into the process.